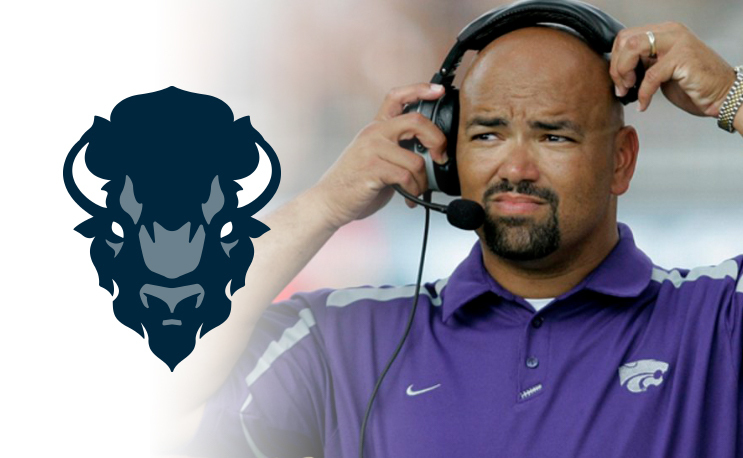 It looks like Howard University has decided to give another former FBS head coach a shot. Ron Prince, former Kansas State head coach and current Michigan assistant, will be tapped to lead the program according to FootballScoop.com. Prince led Kansas State to a 17-20 record from 2006 through 2008. He most recently served as an offensive analyst for Michigan under Jim Harbaugh after coming from the Detroit Lions where he served in various roles from 2014 through 2017. A graduate of Appalachian State, Prince has previously served in both the MEAC (South Carolina State) and SWAC (Alabama A&M) as an offensive line coach back in the early 1990s. Prince would assume the role previously held by Mike London. London left Howard after two seasons to take the head coaching role with William and Mary. He led the team to an 11-10 record in two seasons. Despite the team’s middling record, it does possess some very good talent. Quarterback Caylin Newton was just named MEAC Offensive Player of The Year earlier this week. One could argue that his best competition came from receiver Jaquez Ezzard. And he’s got another All-MEAC receiver in Kyle Anthony on the other side. All three will return for the Bison next season. Coincidentally Prince’s son, James, was offered by conference rivals Norfolk State and Morgan State earlier this year.